Why do some people like to work out? Do you enjoy working out, sweating hard and getting stuff done? Or maybe you’d rather not but it still feels good once you get yourself up and do it. Either way, your brain is encouraging this behavior by releasing a chemical called dopamine which activates reward signals in your brain’s cell receptors. This chemical tells you that, hey, you like this, this is good for you. But what if your cell receptors are not receiving the signal? Well, that means you’re not receiving any motivation from your brain to get up off that couch. 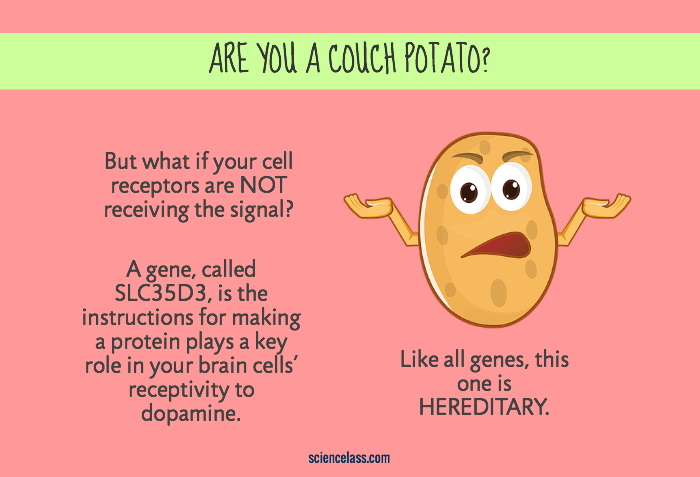 It means you might be a “couch potato”. But how does your brain know when and to what it should reward you? As it turns out, it’s because of your genes, one gene in particular. This gene, called SLC35D3, is the instructions for making a protein which plays a key role in your brain cells’ receptivity to dopamine. Like all genes, this one is hereditary. Which means you may inherit your enjoyment of exercise, or lack thereof, from your parents. Also, like all genes, mistakes sometimes happen during replication and/or transcription. The result of these little mistakes sometimes causes mutations. These mutations are the reason for variation among people’s enjoyment of exercise. 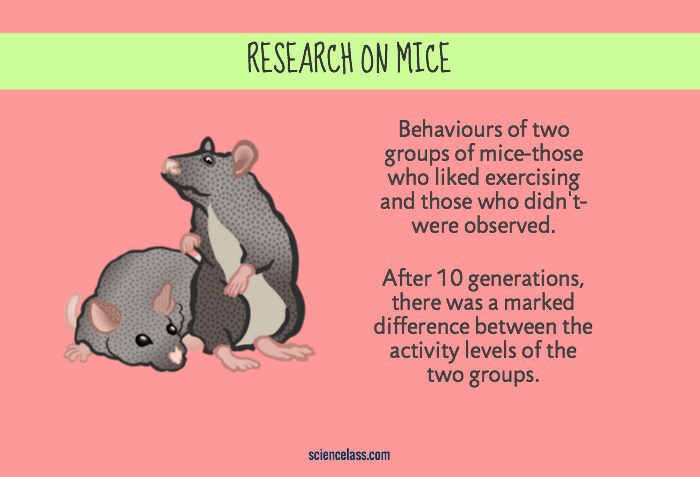 Researchers studied the genetic heritability of these genes by observing some mice’s behaviors. By sorting out those who spent more time exercising and moving around from those that didn’t; they then noted the proclivity for physical exertion in their offspring. The researchers noted that after 10 generations, there was a marked difference between the activity levels of the two groups. The lazy group was now even lazier while the active group was now even more active. Doesn’t sound very promising for you couch potatoes out there does it? 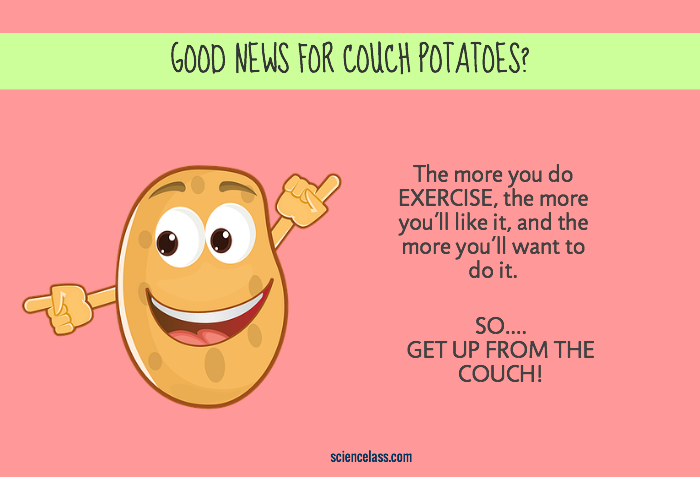 Does that mean couch potatoes are doomed? If you’re someone who longs to be fit but struggles with motivation, don’t fret; there is hope. Genes can be overcome. 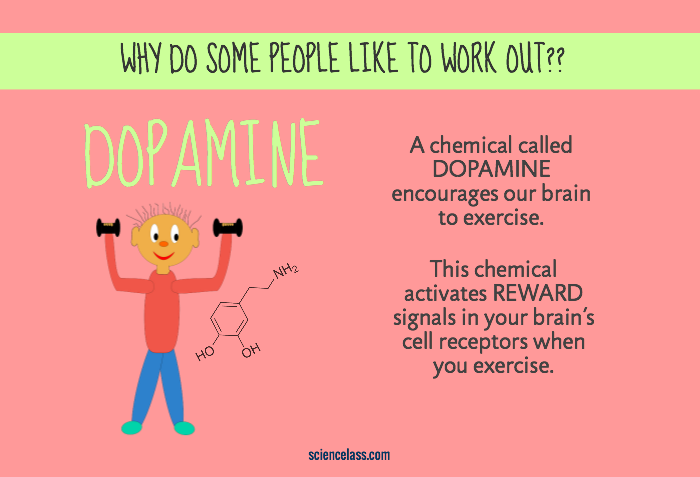 Making exercise a habit no matter how much you don’t want to do it will eventually cause a slow increase in your brain’s cell receptivity to dopamine release. The more you do it, the more you’ll like it, and the more you’ll want to do it. Also, maintaining this good habit will increase the likelihood that your own children will enjoy exercising. Just remember, the opposite is also true; avoiding exercise increases the chance of your children enjoying it even less. Still not motivated to work out even though you’d like to be? There is still hope. Those same researchers found that when the lazy mice takes a drug that activates dopamine receptors, they become more active. They feel optimistic that this drug could be modified and approved for use by people who struggle with obesity and obesity related health problems. Doesn’t that sound nice? Don’t feel motivated to work out? Just pop a pill. This drug wouldn’t be for everyone, however. In a genetic screening of 400 overweight individuals in China, only two had the specific “lazy” mutations on the SLC35D3 gene. Still, even if this mutation affects one out of every 200 overweight or obese people, that is still millions of people worldwide. The day may indeed be soon when our medical treatments become individually tailored to our genes.